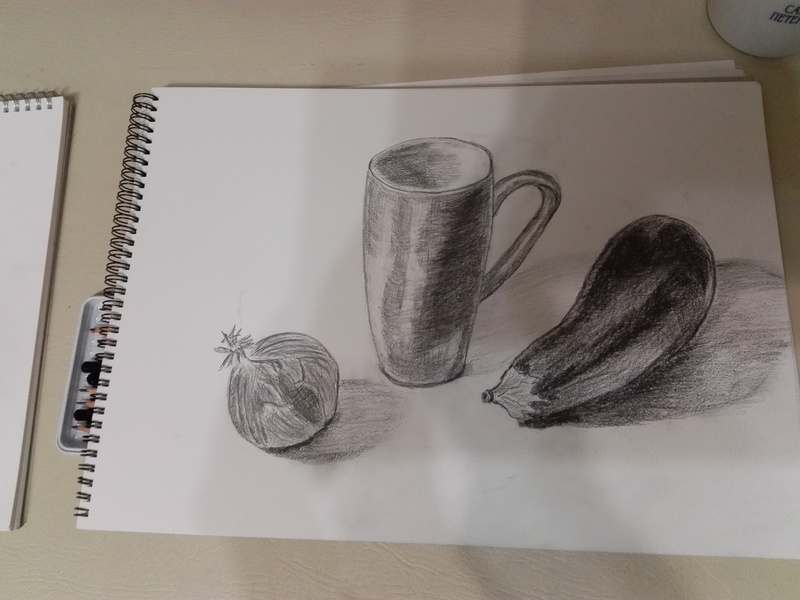 Student’s still life drawn at Magic Wool Art and Craft studio at beginners Art class. This Monday at Magic Wool Art and Craft Studio in Kidderminster we drew first ever still lifes. We learnt so much already! Amazing! 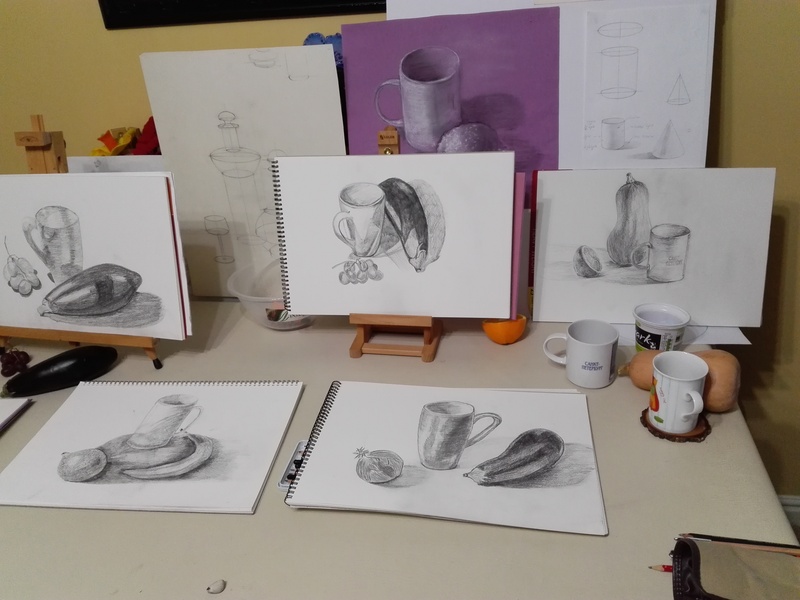 This is only week 4 of the art course for complete beginners and already WE CAN draw objects from observation and get the likeness! WE CAN see different tones and create them using different shading techniques with a variety of graphite pencils! I am really proud of my students who work so hard with a great enthusiasm. Magic Wool Studio has opened an online shop selling handmade designer felt clothes, accessories and wool paintings.